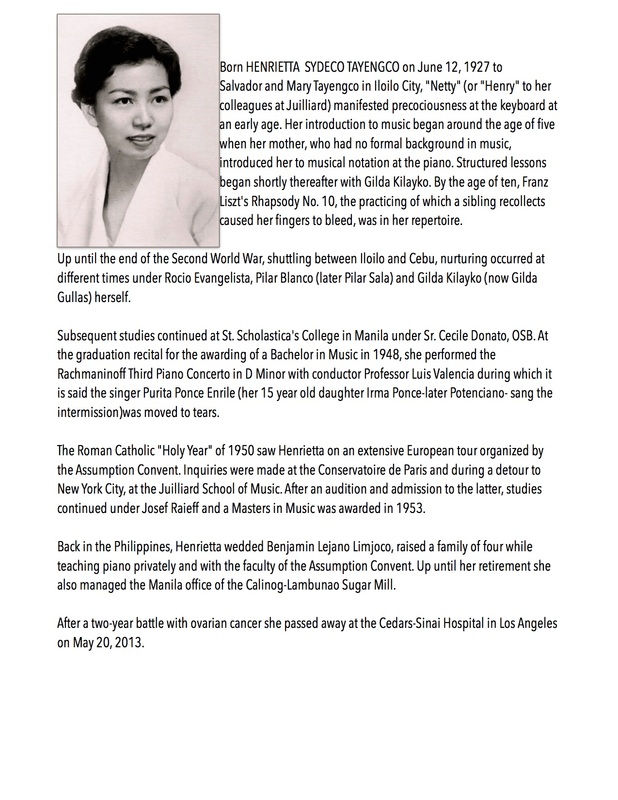 Henrietta Sydeco Tayengco-Limjoco Biography | Piano Teachers' Guild of the Philippines Foundation,Inc. Open To all Pianists age 30 years and below. This entry was posted in Competition, News, Updates. Bookmark the permalink.